One of our biggest events of the year is on its way! 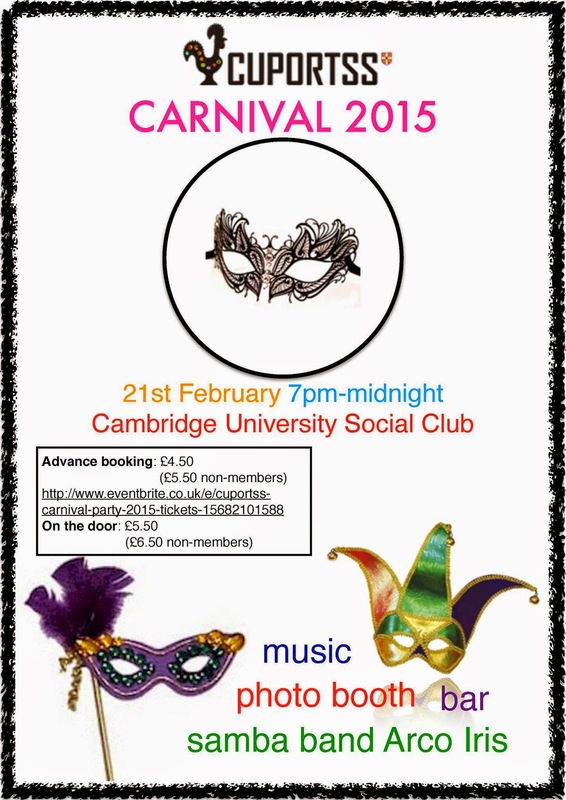 The CuPortSS Carnival Party will be held on the 21st February from 7pm at the Cambridge University Social Club. Resident DJs and live samba will guarantee an awesome evening! There’ll also be a photo booth to capture the moment, and a costume competition, so pull out all the stops on your outfit! Where? University Social Club, Mill Lane.